We will continue to offer after school tutorials on Tuesday and Thursdays for 6-8th Math, 6-8th Reading and 8th grade Science and 8th Grade Social Studies. Congratulations to the Academic UIL Medalists. Former West Orange – Stark High School Assistant Principal Brodrick McGrew is the new principal at West Orange – Stark Middle School. 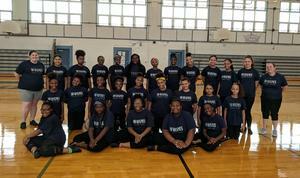 During the summer Stallionettes attended 2 camps bringing home multiple awards from both! Be sure your students are in proper dress for the upcoming year by looking at the changes to the Dress Code. 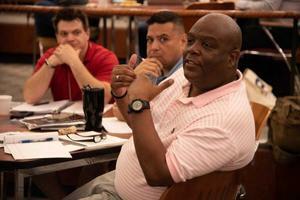 Middle School teacher spend the summer preparing for his students. The Orange Leader reported on one of WOSMS's dedicated teacher who spent time during the summer break to learn more for his students. 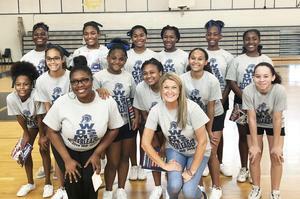 Over the summer the 2018-2019 Stallion Cheerleaders held an NCA camp taking home Superior ratings and placement on the All-American Team. Celebrate the book fair and the Stallions by dressing in your best fan gear. Grab your family head to the Middle School Library to win prizes, eat some dinner, and buy some books at the Family Night Spring Carnival.